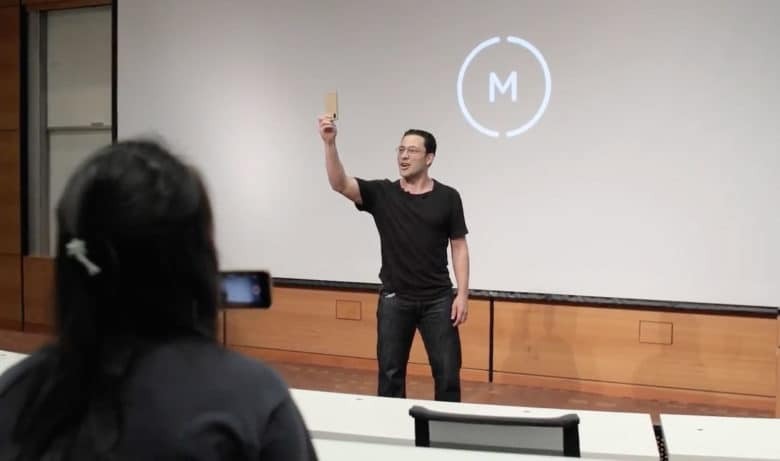 Moment founder Marc Barros at the big reveal. 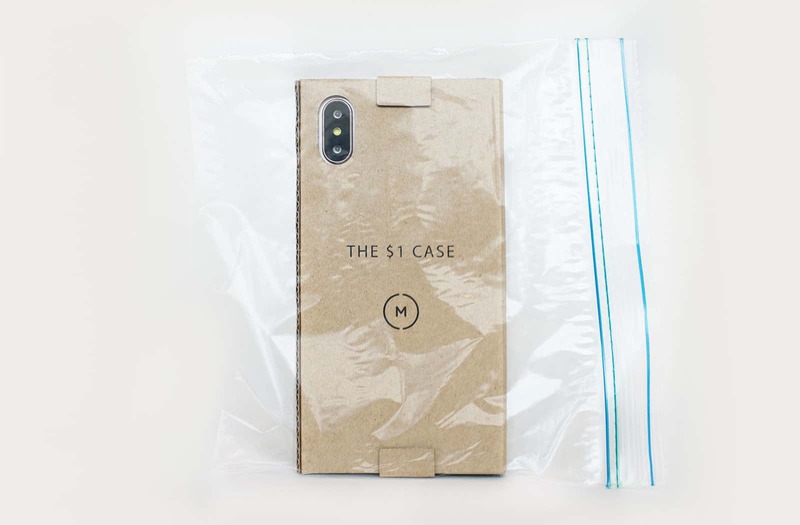 Poking fun at iPhone prices and the hyped spectacle of Apple product launches, Moment released a “live event” to introduce the “world’s first” $1 case, $2 waterproof case and $3 wireless charging case. 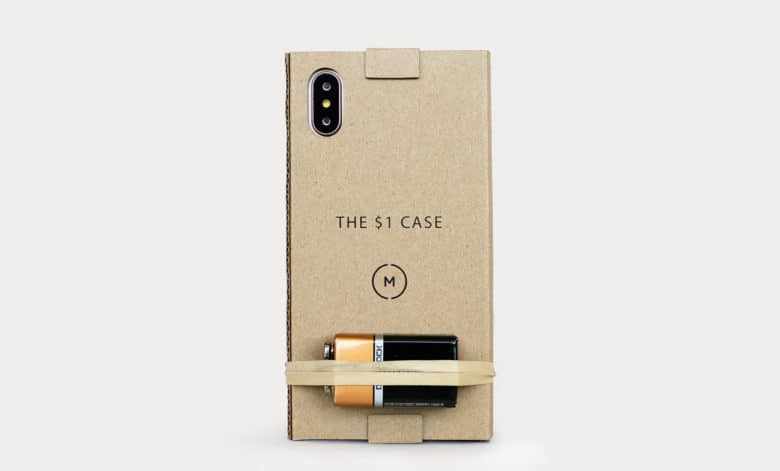 Moment kept its price point in single digits because of a ground-breaking material used to create the cases – cheap cardboard that comes in one color, dirt brown. Moment’s joke is priceless especially the way it teased tech writers with an invitation the day before to view a major announcement at 10 a.m. PST Wednesday. While the presentation was hilarious, the three cases are actually for sale on Amazon. The extra dollar on the waterproof case buys the case holder a resealable sandwich bag For $3, a rubber band holds a 9-volt battery on the cardboard “battery” case. “We worked on this project for a few minutes so it’s definitely the worse case we’ve ever made,” said Moment founder Marc Barros. “But we hope people buy it for their friends as a joke. Thanks for not blocking me from sending you future emails. 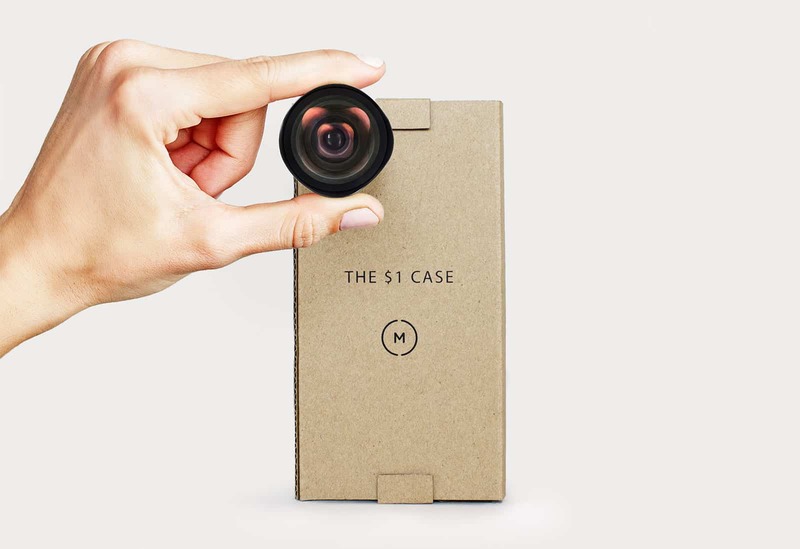 Many mobile photographers see Moment as the best brand for attachable iPhone lenses. The company does not cut quality corners in creating sharp optics and highly functional cases. Its lenses can be found in more than 50 Apple Stores but also available online. In February, Moment raised more than $767,000 to create a 2.0 series on its wide and telephoto lenses along with a battery case with a built-in shutter button. The 2.0 lenses are $99.99 while the older lenses are $69.99. Click here to see Moment’s product line. So the cardboard cases are a fun departure from a serious focus on making a great product. It’s organic – and non-protective. A battery case that would make MacGyver proud.